One of the most critical issues that warehouse managers struggle with is optimizing warehouse storage. When not done properly, it can have costly consequences such as blocked aisles, lost stocks, and low productivity. And while moving to a larger facility might be a quick solution, it isn’t a practical choice for most. In this article, you will learn about the best practices to help you optimize the storage process in your warehouse. With these helpful tips, you’ll be able to utilize the maximum capacity of the facility and streamline your warehouse operation. The warehouse storage process is the movement of goods into their most appropriate storage space. However, this is easier said than done. According to James A. Tompkins and Dale A. Harmelink, warehouses often run out of storage space due to factors such as rapid growth, seasonal peaks, and slow sales. An efficient storage process in warehouses is critical because it ensures that you’re making full use of all the available space in your warehouse. Efficiency in warehouse storage also keeps the stocks organized without compromising productivity. In order to optimize your warehouse storage process, it’s important to analyze how much storage space is utilized within your warehouse. To help you with that, here are four simple steps for calculating your warehouse utilization. Measure the total square footage of your warehouse and subtract the spaces that aren’t used for storage purposes (e.g. restrooms, offices, lunchrooms). Then, multiply the remaining square footage by the warehouse’s clear height – the distance from the finished floor of the warehouse to any overhead object such as lights, joists, or trusses. To get your maximum storage capacity, multiply the length and width of your rack’s external dimensions, which is also called the storage area footprint. If you’re using shelves, calculate the internal volume of your shelves. Then multiply that figure by the height of the highest load in that area – the item sitting on the top beam of the pallet rack. Take note that the height of the highest load can possibly be different across the racks. In this case, simply calculate them separately then add all the results together. Divide your maximum storage capacity (step 2) by the total warehouse storage area (step 1) and multiply it by 100. The ideal result is around 22%–27%, as this range indicates that there is enough room for warehouse workers to move around efficiently without wasted space. If your result is below 22%, it can be an indication that you have a lot of wasted space. On the other hand, a result higher than 27% means that the warehouse personnel don’t have enough room to work in, which can lead to lower labor productivity. If you currently use a WMS, you will have all the necessary data at hand. Simply add the volume of all of the products stored in your warehouse and divide the total by the maximum storage capacity (step 2) and multiply by 100. 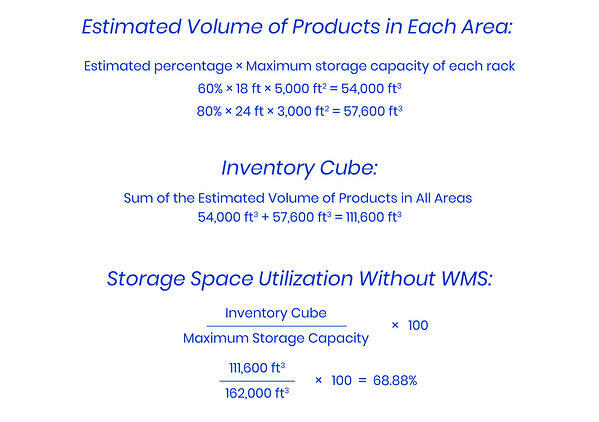 If you aren’t using a WMS, you have to first manually estimate your Inventory Cube (the volume of products stored in your warehouse) in order to calculate your storage space utilization. To get the Inventory Cube, divide your storage area into logical sections like individual rows or floor stack areas. Then, estimate the percentage occupancy of each area (e.g. 50%, 30%, or 80%). Take note that if you’re using the external dimensions of a rack, the area could never be more than 90% full to allow efficient material handling. Then, multiply the estimated percentage of each area by the maximum storage capacity of each area (using step 2) and add them all together to obtain the Inventory Cube. Finally, to get your storage space utilization, divide the Inventory Cube by the maximum storage capacity of the warehouse (step 2). Once you have identified the current storage space utilization, you will be able to compare it with the results of your efforts to optimize the warehouse storage process. It’s also important to measure your KPIs in order to determine the aspects you need to improve in your warehouse storage process. This indicates the cost of storing inventory over a particular time period. When measuring the carrying cost of inventory, you need to consider a variety of carrying costs such as capital costs, storage costs, service costs, damage costs, and costs of obsolescence. The storage productivity will help you determine the volume of inventory stored per square foot of your warehouse. This metric is used to identify the percentage of space the inventory occupies versus the total warehouse storage capacity. To obtain this, see first tip. The metric tells you how fast an inventory is passing through your warehouse. It is used to measure the number of times an inventory was sold and replaced within a specific period of time. The inventory-to-sales ratio is a helpful metric to identify whether your warehouse can handle unexpected storms. It measures the amount of inventory you are carrying compared to the sales orders being fulfilled. Aisle widths are crucial in determining how much space can be utilized inside a warehouse. Although it’s quite an investment to redesign your entire warehouse layout, decreasing aisle width will pay off immediately as it will increase much needed storage. This is the conventional type of aisle that measures wider than 10.5 feet. A wide aisle is suitable for warehouses with high volume of orders and doesn’t require any special equipment. Measuring around 8.5 feet to 10.5 feet, narrow aisles allow you to store up to 20% more product than normal aisles. Narrow aisle systems still allow unrestricted accessibility to individual pallets. Very narrow aisles measure under 6 feet and enable warehouses to store 40%–50% more products than standard aisles. However, you should consider the additional costs that may incur, as this system requires special lift vehicles and even AGVs. 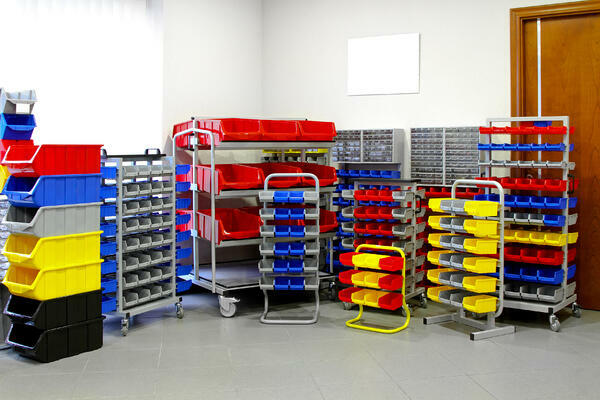 Choosing the right warehouse storage system ensures that your space is maximized while improving warehouse efficiency. This storage method is the most common method of storage because it’s suitable for warehouses that are reasonably low in height. In block stacking, the items are packed in unit loads and stacked on the floor to their maximum safe height. In most cases, sturdy products such as washing machines, refrigerators, canned goods, and bottles are stored in this way. For warehouses that handle fast moving products with FIFO (first in, first out) stock rotation, pallet flow racking is the best option. Pallets are loaded at the upper end of sloping lanes and moved down by gravity once an item is removed during the picking process. This storage method maximizes the use of floor space and only requires the use of two aisles – a loading face and a picking face. Opposed to the pallet-flow racking, push-back racking is best used for a LIFO (last in, first out) inventory management. Using structural steel rails, pallets automatically push back when an item is loaded and come forward when unloading. Investing in mezzanine flooring will allow for a massive amount of additional space. It simply means constructing additional levels above your existing aisles to make the most of vertical space. Some mezzanines allow a maximum of two to three levels. Storing unpacked items inside containers is a good way to maximize space, but when done incorrectly, it can waste a lot of your valuable warehouse space. Balance Small Business explains that many warehouses make a common mistake by applying a “one size fits all” approach when choosing containers. To achieve an efficient storage process, containers should be made available in various sizes. Storing small items in smaller bins while keeping larger items in bigger containers will increase your storage capacity. 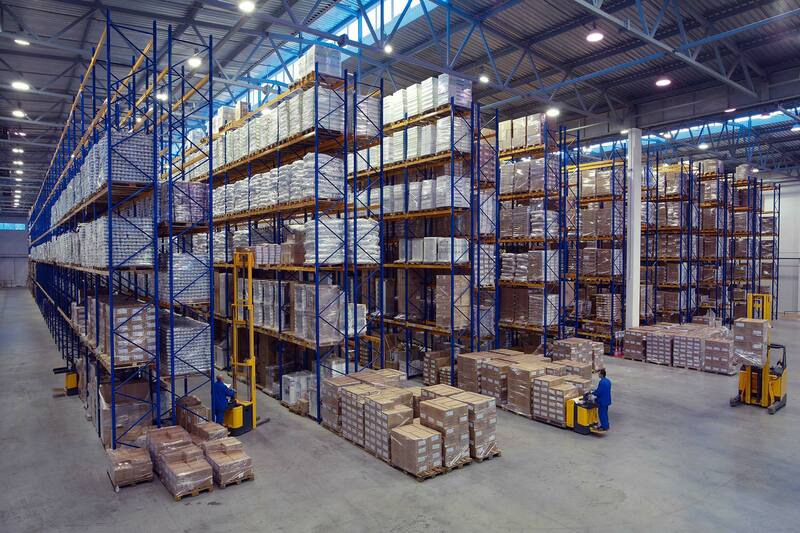 Optimizing the warehouse storage process can require a significant amount of time and money. However, the long-term results it provides will certainly benefit the success of your business. Investing in tools such as a warehouse management system will help you identify the right storage method for your facility while making it easy for you to analyze your warehouse storage space utilization. Now that you’re equipped with all this information, you can start improving your storage process in the warehouse and make good use of any untapped space. For more warehouse content, you can follow us on LinkedIn, YouTube, Twitter or Facebook. If you have other inquiries or suggestions, feel free to contact us here. We’ll be happy to hear from you.